(AFP) VIENNA — Austria’s chancellor said Tuesday he is powerless to stop an upcoming commemoration of a 1945 massacre that has become a magnet for supporters of the Nazis’ Croatian allies and far-right sympathizers. 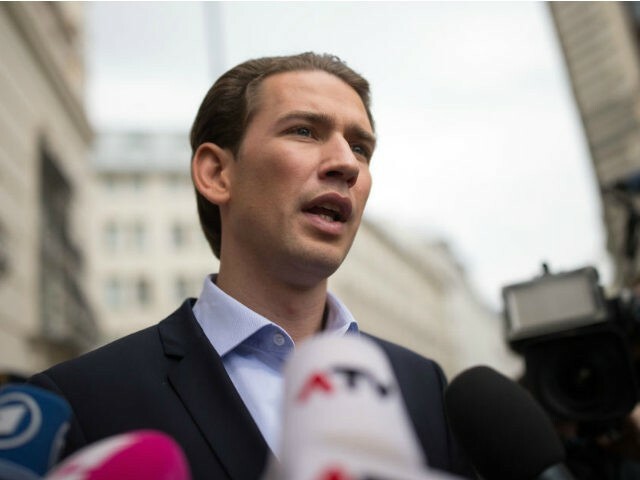 “The event taking place is an event organized by the [Croatian] Church,” Sebastian Kurz said ahead of the annual May 12 gathering in Bleiburg in the southern Austrian state of Carinthia. “That means it is neither the decision of the federal government nor of the state premier [of Carinthia] and his administration whether this event takes place,” Kurz told reporters. The memorial remembers the killing of sympathizers of Croatia’s Ustasha regime and others at the hands of communist partisans at the end of World War II in and around Bleiburg. The number of those killed is still debated. Estimates vary from a few dozen to tens of thousands. The Ustasha were allied to Nazi Germany and persecuted and killed hundreds of thousands of ethnic Serbs, Jews, Roma, and political opponents, many in the Jasenovac death camp. But in recent years the ceremony has drawn more than 10,000 people including Croatians who still revere the Ustasha as well as neo-Nazis from across Europe. The right-wing Kurz refused to be drawn when asked by reporters about the possibility of such changes. Kaiser is from the opposition center-left. Church authorities in Carinthia say that they have written to their Croatian counterparts reminding them that the event must be exclusively religious, with no political speeches, symbols, uniforms, or banners. If these conditions are not respected, permission to hold mass there in the future will be revoked, the diocese of Gurk-Klagenfurt said in a statement. Croatia’s government has come under criticism in recent months for failing to tackle intolerance and right-wing extremism. High-ranking Croatian politicians have attended the Bleiburg memorial in the past. Those killed in 1945 had fled Josip Broz Tito’s advancing communist partisans towards Austria, but the occupying British forces there sent many of them back.